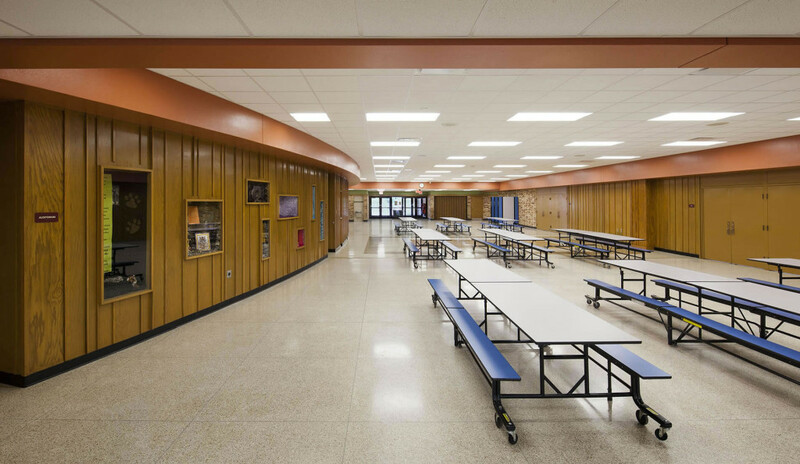 The Cedar Grove-Belgium School District asked Abacus Architects in the summer of 2007 to investigate current conditions and best uses for its school buildings in the future. 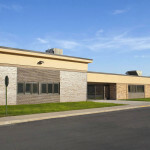 The community, however, failed to approve a referendum that would have funded new construction. 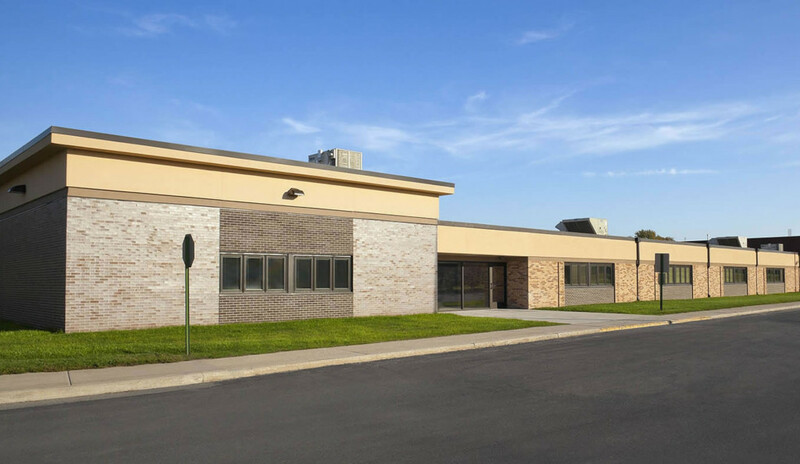 Abacus continued to work with the district, revising plans to address essential needs at existing facilities with a smaller budget of $6 million, which was passed. At the middle school, plans provided for updating it to today’s educational standards while upgrading mechanical and structural systems. Abacus redesigned the haphazard floor plan to cluster students together in houses that matched the school’s teaching style. Inside and out, Abacus worked to transform a dark, ‘60s building into a more contemporary facility. All windows were replaced and the exterior façade updated with a synthetic stucco in place of the original stained wood. 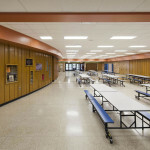 A raised ceiling and additional fixtures brought more light into the lobby/common area of the building, and new lighting and splashes of color brightened hallways and classrooms. Safety improvements at the elementary/middle school included a new locked vestibule to prevent street entry into the main part of the school, and separation of car and bus drop-off lanes outside. The high school projects addressed art and technology education. 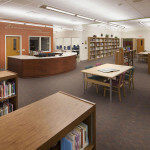 A new addition provided space for two art rooms, one 2-D and the other 3-D. It also corrected an omission in the original building: shop classrooms to meet renewed demand for trade education in woodworking, metal working, and auto repair. The challenge of the project was to complete all of the work in a period of 16 months without disrupting school functions. 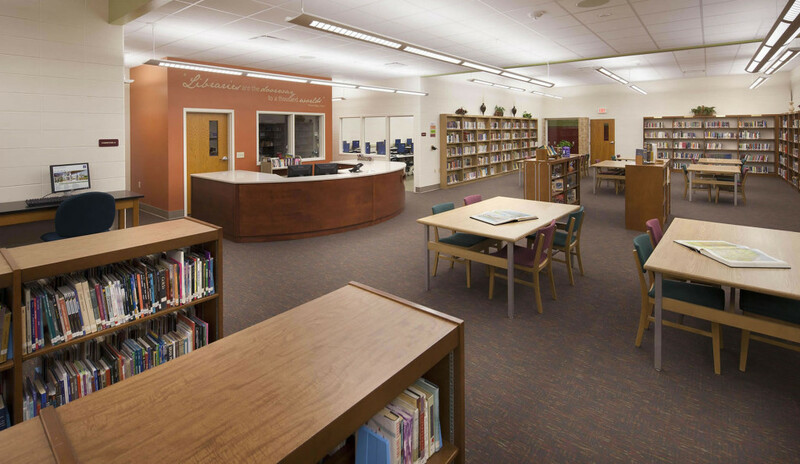 Abacus Architects proposed a phased approach that renovated existing spaces during the summers and secured new construction from students during school months.